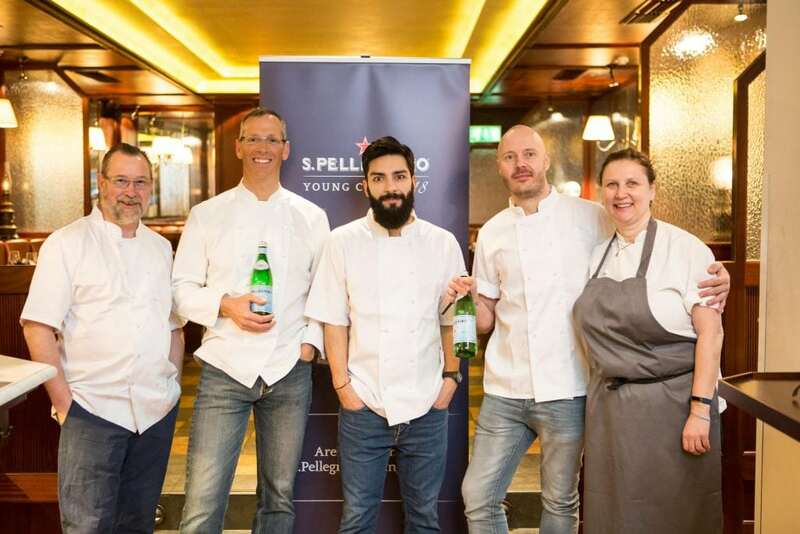 Following the success of last year’s S.Pellegrino Young Chef competition, four of the UK and Ireland’s leading chefs have partnered with S.Pellegrino in a global search to find the world’s best young chef. 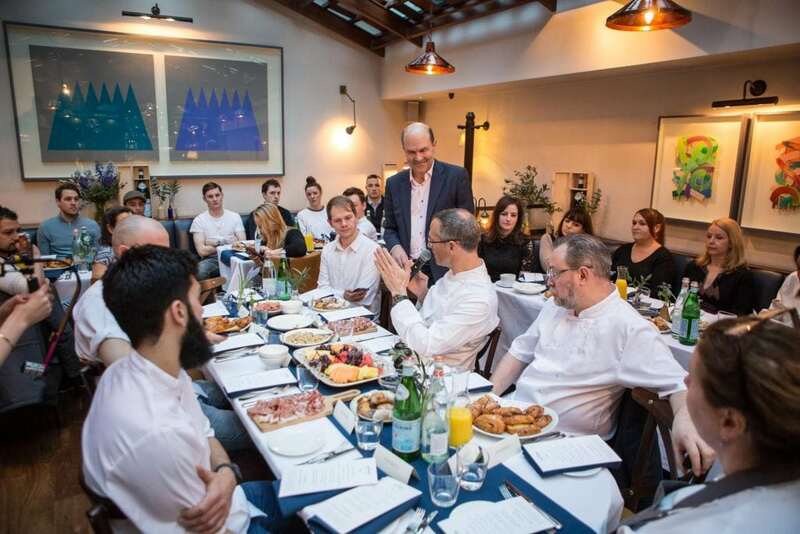 Earlier this week, a launch breakfast at Café Murano witnessed the competition’s four chef judges and mentors gather to discuss the competition, along with last year’s UK & Ireland winner George Kataras of M Threadneedle Street. The four chef judges include Angela Hartnett MBE, Alyn Williams, Phil Howard and Mickael Viljanen, who will be tasked with judging the top ten UK & Ireland young chef semi-finalists before selecting just one individual to represent both territories in the global final in Milan next year. Each of the ten semi-finalists will have to prepare and cook their own ‘signature dish’ for the Jury, in a cook-off event, which will then be judged across five areas including ingredients, skill, genius, beauty and message. The winner of the UK & Ireland round will then be accompanied by Angela Hartnett to compete for the title of S.Pellegrino Young Chef 2018 in Milan next June. The competition is split into four phases (listed below) with applications open until April to chefs aged 30-years-old or younger with at least one year’s experience working in a restaurant kitchen. Further information on the competition can be found at sanpellegrino.com, along with the young chef application form. From February 1st to April 30th 2017, any young chef in the world will have the opportunity to submit an application and their signature dish at sanpellegrino.com. Applicants must be 30-years-old or younger with at least one year of experience working in a restaurant as a chef, sous chef or chef de partie. The complete list of competition requirements will be available on the application website. Beauty: Dish presentation, giving the contents an aesthetic enhancement. 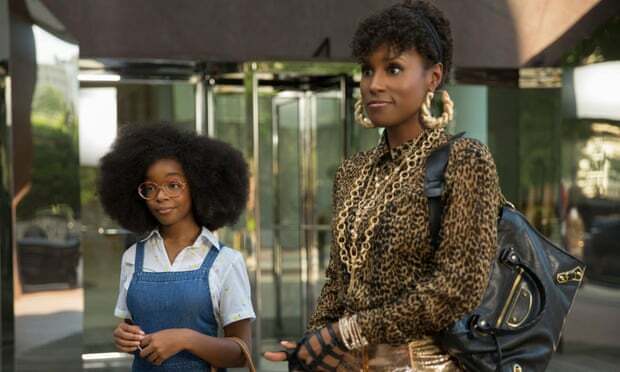 The ten selected semifinalists of each of the 21 regions will compete in a Local Semifinals round, where live competitions will be held in each region from June 7 to December 31. During these events, the semifinalists will cook their signature dishes for the exclusive regional jury, composed of independent top chefs who will evaluate the presented dishes based on the five Golden Rules and select a winner.